No experienced buyer purchases a company without knowing everything possible about it; this learning process is known as “due diligence.” Buyers like the process, and sellers do not. By viewing the opposing viewpoints on due diligence, you can understand why. (1) The buyer assembles a team of experts including but not limited to an accountant, lawyer, and other professional advisors to review the seller’s contracts, operating procedures, business relationships, systems, leases, manuals, and financial documents. (2) The team devotes an extraordinary amount of time and attention to the information provided. Buyers are looking for skeletons in the closet, undisclosed material risks, fraud, or misrepresentations. (3) The buyer is looking for information that could affect the value of the company or data that indicates the company is not a worthwhile investment. (4) As a result, buyers may find information that could be used as leverage to lower the price or improve the terms of the sale. 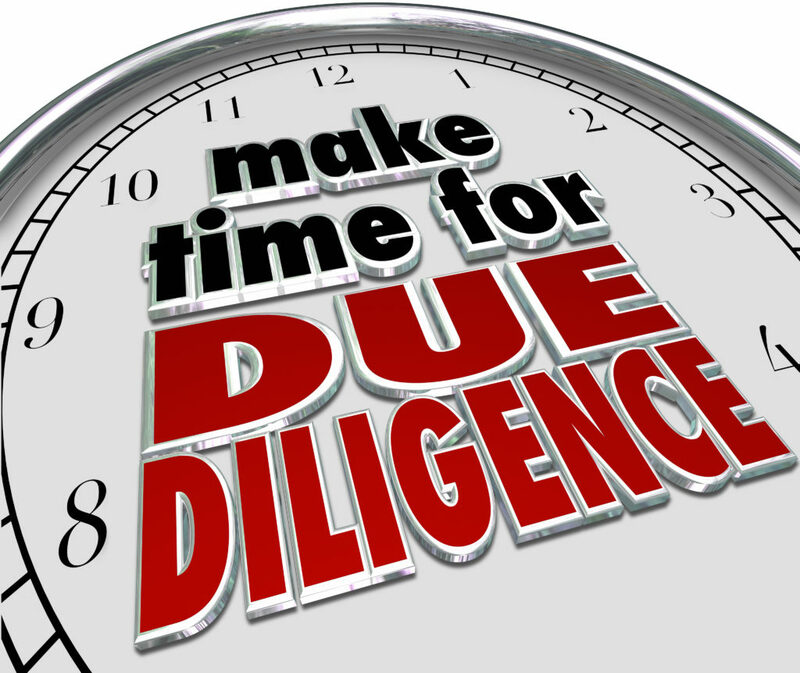 (1) Due diligence requires a lot of work for the seller. Contracts, agreements, procedures, and threatened law suits must be cleaned up before the company is put up for sale. (2) Up to the point of due diligence, the seller has controlled all of the information flow to potential buyers. When a buyer’s due diligence begins, the seller gives up much of the control. (3) Sellers must be proactive and prepared for buyer due diligence so as to remove impediments that may prevent the buyer from traveling a straight path to closing. Unnecessary delays in retrieving documents or answering questions rarely favors the seller. Regardless of which side of the transaction you are on, due diligence is an important part of the process. Allocating the appropriate amount of time to prepare for it is essential for a successful business transaction.